It's been much too long since I've been here to post a creation - let's just say, life gets in the way sometimes! I really want to be better about it - and it hasn't been that I haven't been creating - I just haven't had the time to photograph and post as much. Well, I'm here today to change that! I created this card for my father's 91st birthday - hard to believe he's 91 when you meet him... I think most people would say he's in his early 80's the way he looks and acts. I am amazed by this man so much. I needed something totally unique for this occasion - enter inspiration from Torrey - and voila! It came together easily... She can be a thousand miles away, and she is still inspiring me, each and every day! 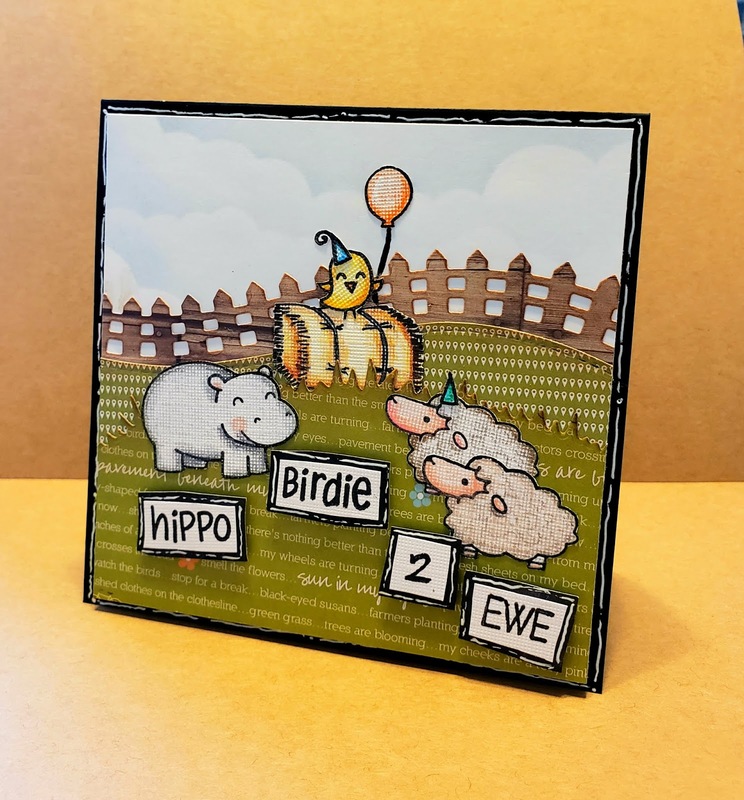 I used a bunch of Lawn Fawn products including the hippo and birdie stamps, the hills, grass and fence border dies and the words hippo and birdie. The "2" is just handwritten, and the sheep and EWE word are from My Favorite Things. 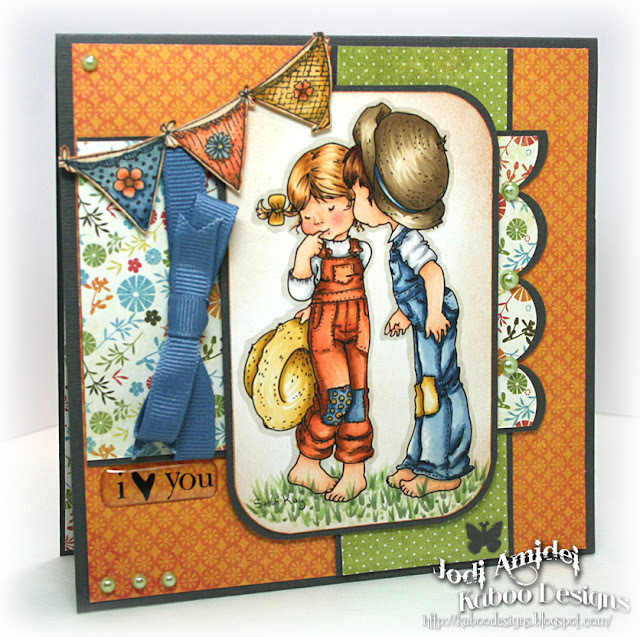 I used a cloud stencil from My Favorite Things as well as some Distress Inks to create the cloud background. The hay bail stamp is from an older farm set that honestly, I can't source - not sure who makes it. 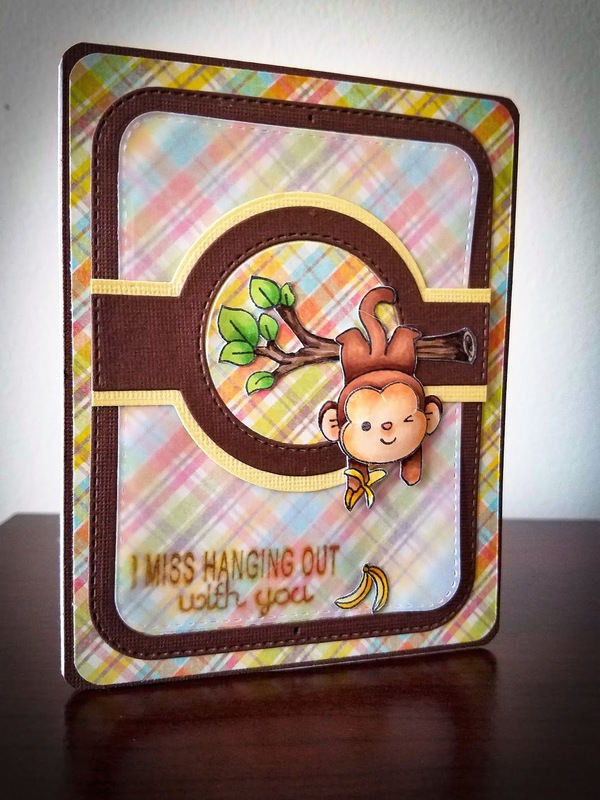 All images were stamped on textured cardstock and colored with my Prisma's, then fussy cut. 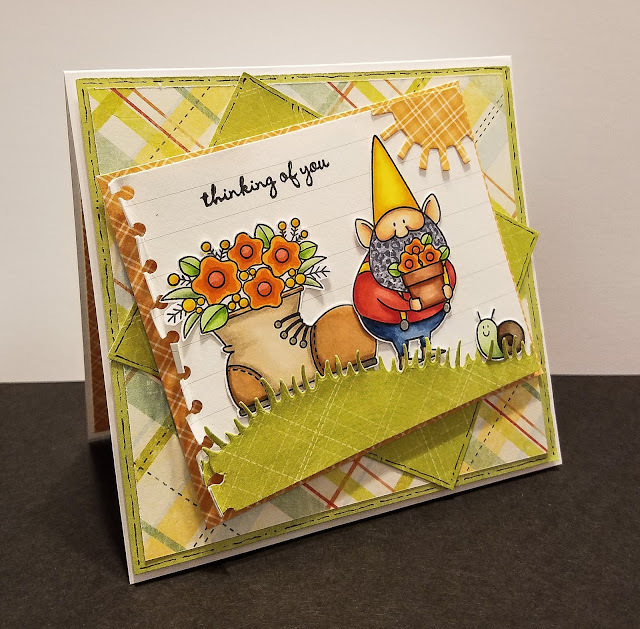 The patterned papers were all just from my scraps. That's all for now - more soon (definitely less than six months...hehe). Missing my bestee a ton right now, so I decided to make a card to send her way showing her some love. The "Chunky Monkey" set from Sugar Pea Designs was the perfect go to set to create this card which is headed to Texas now. The monkey and branch were colored with my Copics, then fussy cut out. 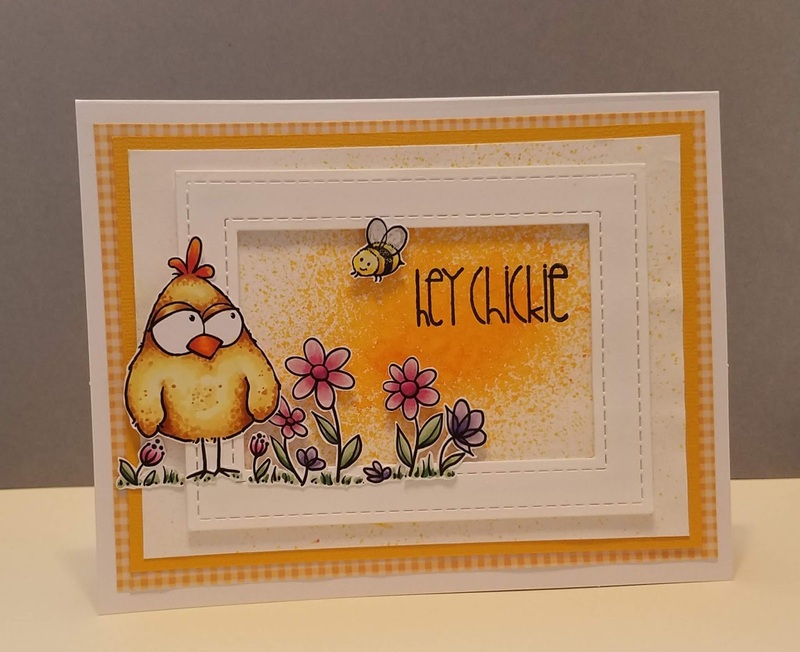 I paired it with a stitched border background out of some leftover scraps I had lying around, including a layer of velum that has the slightly smudged but still cut sentiment from the same stamp set. An oldie but a goodie! I made this one awhile ago, but hadn't shared it here yet... It's an old digital image that I colored up with my Copics. I love to pick my papers first before I color an image - it just makes putting the card together so much easier. No digging through papers trying to match colors. These papers were all from my scraps and the banner stamp is a Whimsy Stamps one that I got while I was designing for them. Turned out pretty darn cute if you ask me! Thanks for stopping in - have a great day! Happy Friday! 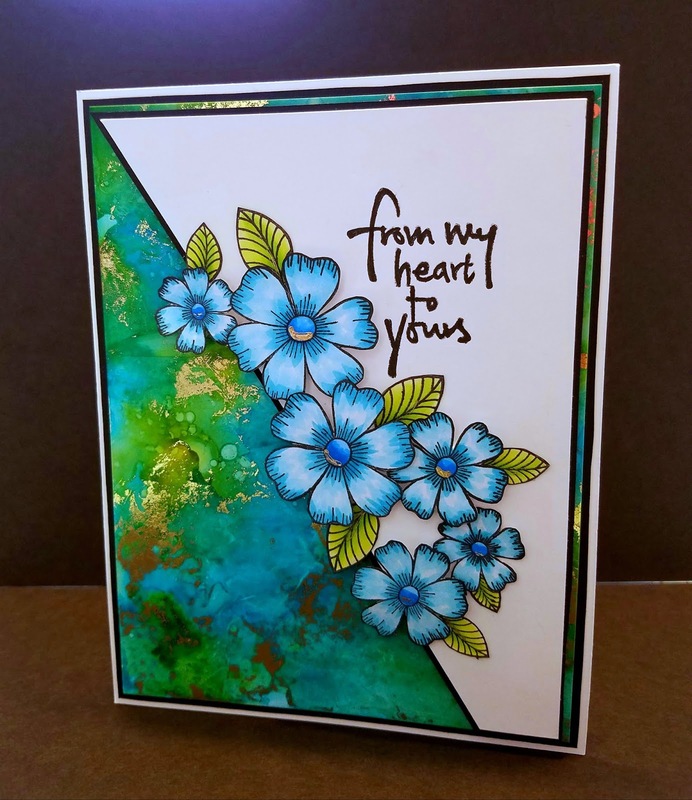 Glad to be back to share this make using a Whipper Snapper stamp called Hedwig. I am so drawn to their images and especially the birds and chickens they have... right up my alley and so fun to color. I share some more of their stuff later this month. I colored him with Prisma colored pencils on craft paper, adding white highlights with an ink gel pen. Fussy cut him and added some fun papers to highlight him. The "You're a Hoot!" sentiment stamp is an old one I think from Hampton Arts Studio G, back when there were dollar bins at the hobby stores. That's all for today - hope you enjoy a wonderful weekend and happy crafting! There is something so wonderfully whimsical about Gnomes... I can't help but collect gnome stamps whenever I can find adorable ones. This one is from My Favorite Things and I love that there are several great ones to chose from. It's called BB You Gnome Me. 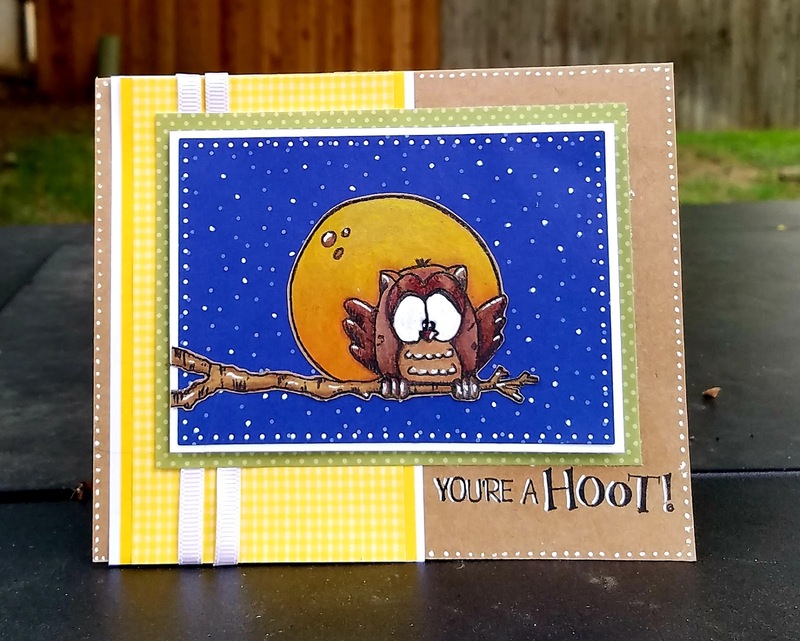 I had fun coloring this one up with my Copics - then using a border punch from EK Success for the notebook edge, a grass border die cut from Lawn Fawn for the bottom and a Jelly Bean die cut for the sun. I think it's just a fun and happy card. Here today to share this birthday card I made for my granddaughter who is about to turn 5. I can't believe she is 5 already! Ugh! I created this using some circle die cuts and a photo strip frame from Spellbinders. The stamps are something I borrowed from a friend at a crop I went to, and just fit into the windows perfectly. I have been playing with alcohol inks a bunch lately, creating many backgrounds using Yupo paper and foil with the inks. 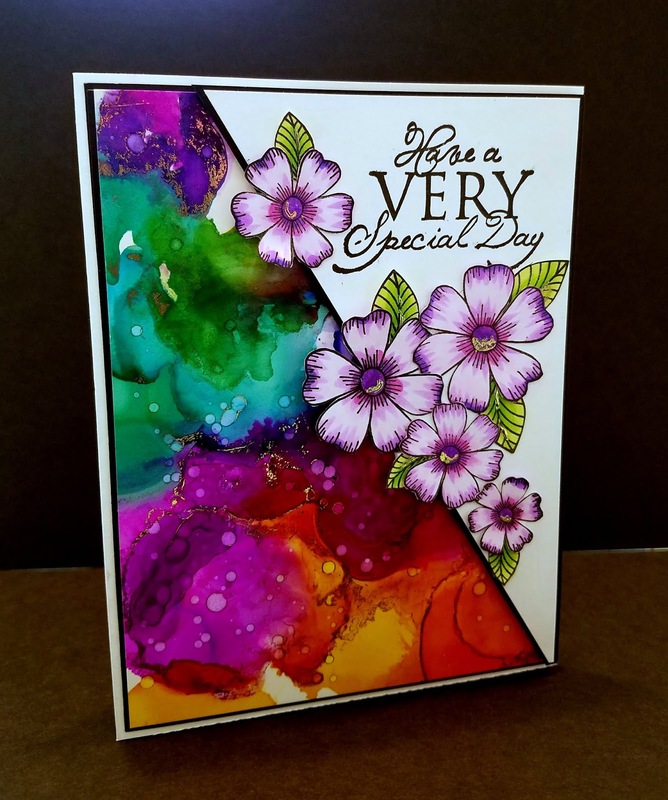 I am loving the vibrant colors and abstract papers I can create so easily with them. But I was coming up almost blank when it came to using them in my card making. So, I went to YouTube of course and found a wonderful artist named Kelly Latevola. 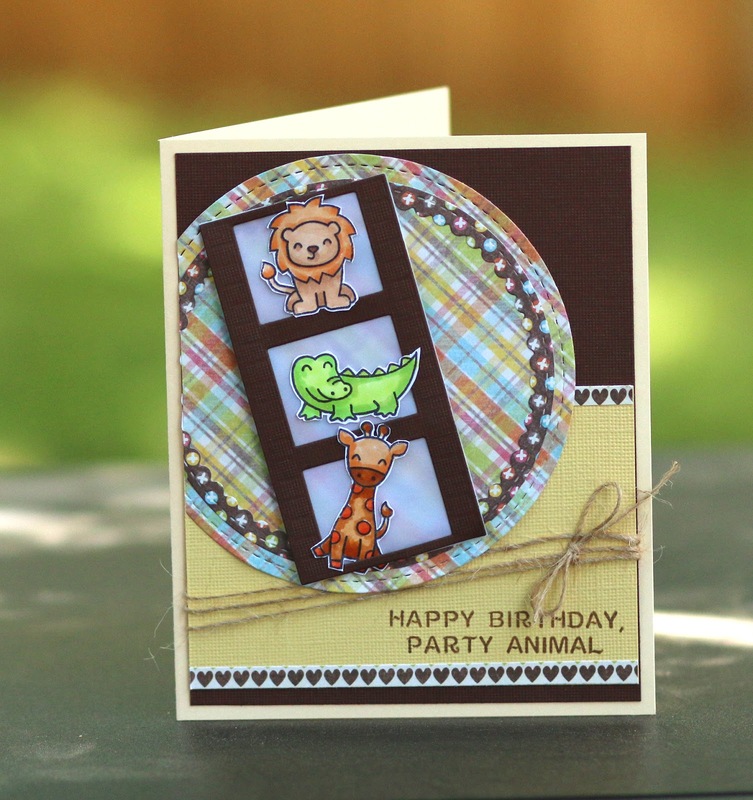 She had designed some cards that I fell in love with instantly. Now those of you who know me know that I don't steal designs very often - in fact, almost never... but when I needed a sympathy card and a birthday card this weekend, I couldn't resist creating my own version of her wonderful cards. I have put a link to Kelly's videos under the photos, so I would encourage you to go check them out... stunning to say the least.